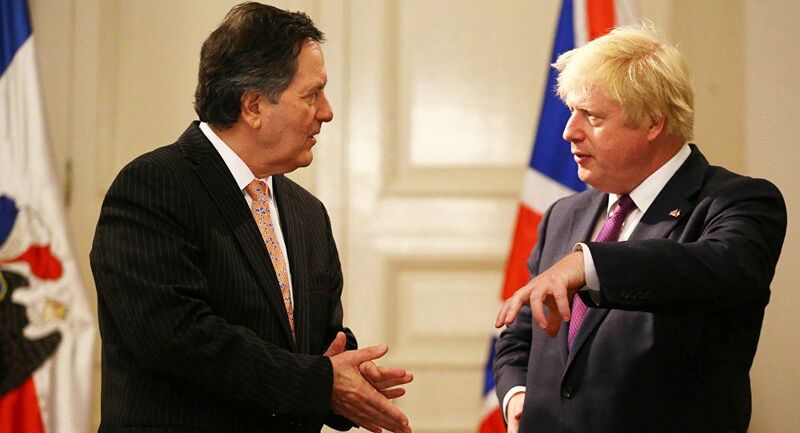 SANTIAGO (Reuters) - Britain’s Foreign Secretary Boris Johnson concluded a five-day charm offensive in Latin America on Wednesday by expressing interest in a trade agreement with Chile and other countries in Latin America’s so-called Pacific Alliance. Johnson extended a trip to a G20 foreign ministers’ meeting in Buenos Aires to include a tour of Peru, Argentina and Chile, seeking closer ties with all three countries. Britain is looking to negotiate free trade agreements to sustain commerce after its departure from the European Union. “There is an old, rich and historic friendship between our two outward-looking, free trade economies… We see great opportunities to develop this partnership,” Johnson said. The Pacific Alliance includes Chile, Colombia, Peru and Mexico. The discussions were met with skepticism in some quarters. Former British Prime Minister Tony Blair said on Twitter that the entirety of British exports to Argentina, Peru and Chile were less than 6 percent of those to Ireland, which is part of the EU.